In everyone’s life, there comes a time when you need change to grow as a person. Moving is one of the most common ways for a person to get a fresh start in a new environment. Moving can also be caused by big life events, such as a change in jobs or a recent marriage. No matter the reason for your move, it should not add any stress to your life. When you choose to work with D&D Storage and Moving for all your moving needs, you can be sure that you will have a worry-free move! We are located in Covington, KY, and we proudly serve Northern KY and Cincinnati. Even though we are located and serve KY and Cincinnati, we can help you and your family with your move, whether it be near or far. Even if you have always wanted to move somewhere far away like Alaska, we would be happy to assist you in your moving process. Whether you are moving to a large city such as Anchorage, Juneau, Fairbanks, or a smaller town, we can help you get the job done quickly and efficiently. The state motto for Alaska is “North to the Future!”, so why not take that motto and really make it your own? Your future starts as soon as you hire our professionals at D&D Storage and Moving LLC. 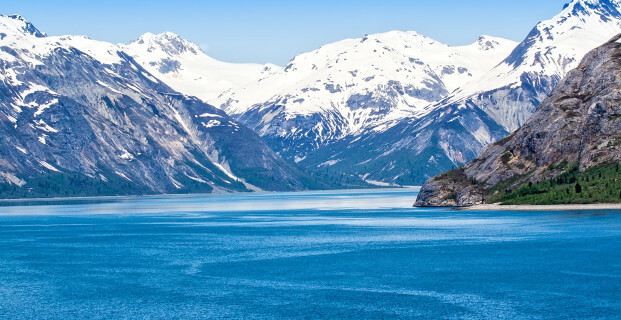 If you have plans to relocate due to your current job, we can assist you with getting everything from your current office, safe and sound to your new office when you finally move to Alaska. We want to make sure that every need is met when you choose us to help you move across the country. To get things started, movers will join you in your home or office to give you a complimentary on-site estimate. This can guarantee that you know what the cost will be before you start your big move. We have been assisting families with their moves across the street to locations such as Alaska for more than 41 years. With that much experience, you can be sure we know exactly what it will take to move all your family belongings across the county and have the experience to do it efficiently. Teaming up with D&D Storage and Moving can have a huge impact in the way you feel about your moving process. We take the weight off your shoulders when it comes to packing, transferring, and storing your household items. Our skilled movers are trained to pack anything that you would want to take with you when moving to Alaska. If you are dreading parting with bulky furniture that you would prefer to take with you when you move, you will find comfort in knowing that our movers can pack items ranging from big to small and thin to bulky. Our team members handle each of your personal items with care, so you can be sure your belongings will arrive safely and on time at your new home.